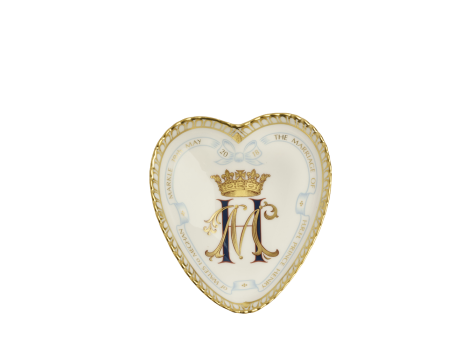 Introducing the 2018 Royal Wedding Commemorative Loving Cup, a limited-edition collectors' item celebrating the marriage of H.R.H Prince Henry of Wales to Rachel Meghan Markle on 19th May 2018. Featuring a stunning design in rich cobalt blue and 22-carat gold creating a wonderful regal feel to the luxury fine bone china Loving Cup. 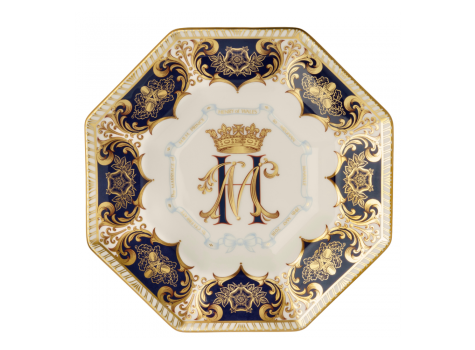 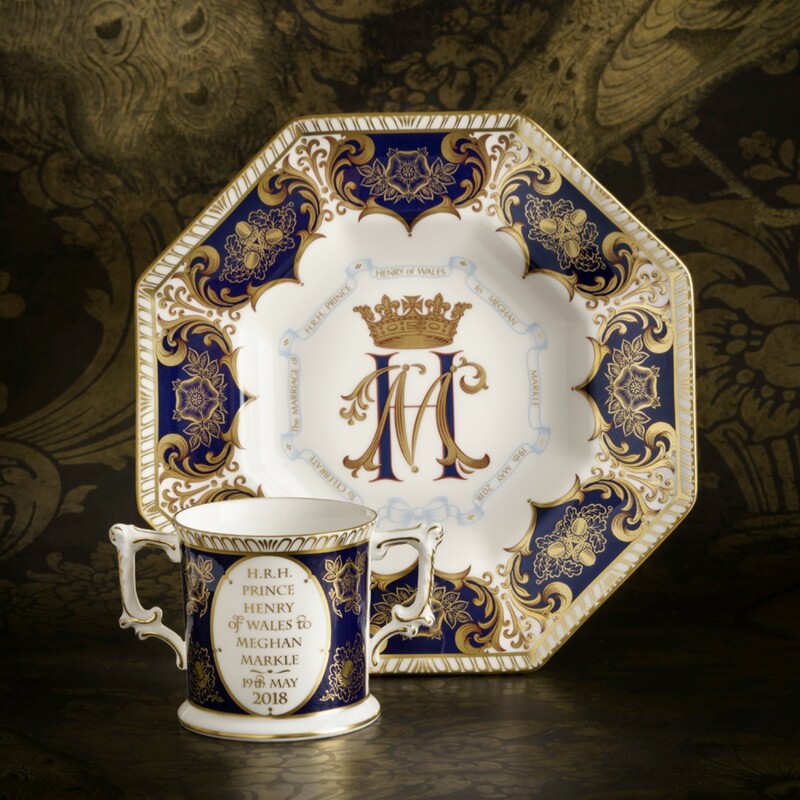 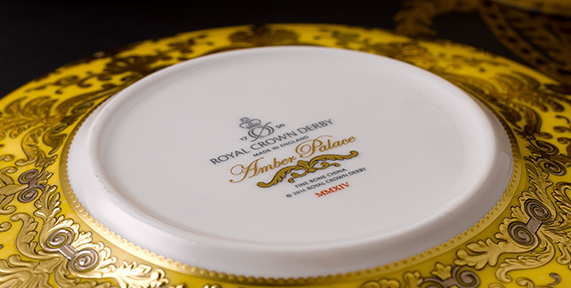 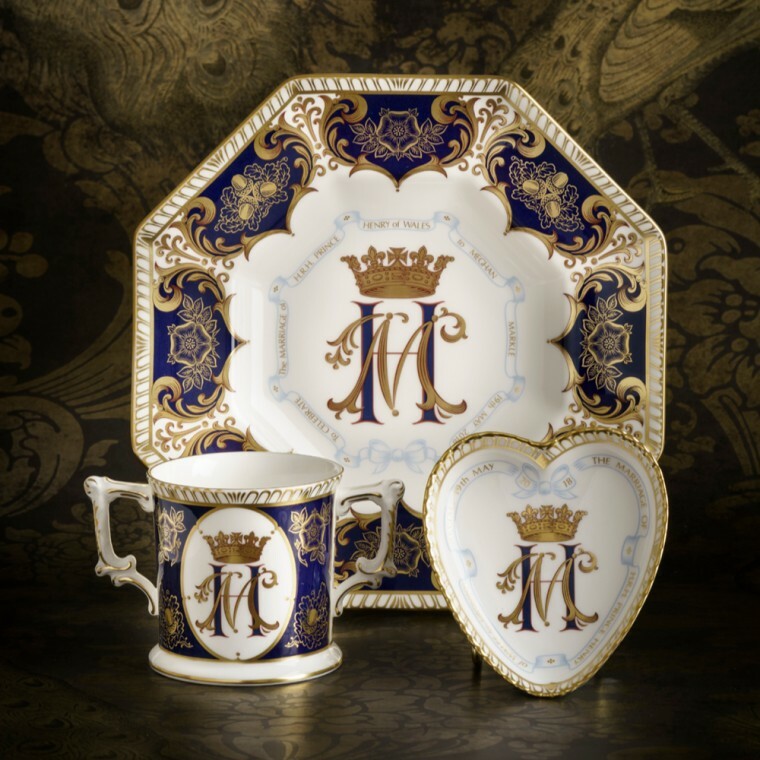 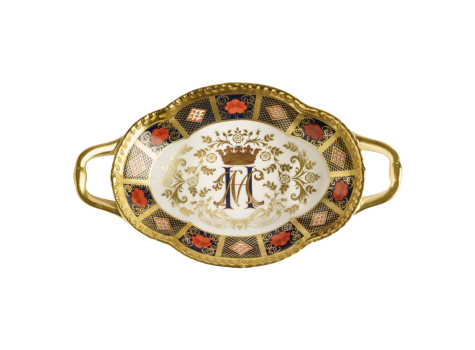 The front design depicts elements used on the Royal Wedding Plate including acorns representing the House of Windsor and longevity and Tudor roses representing the Royal badge of England as well as the rose being the national flower of England with the intertwining initials of Prince Harry and Meghan creating a breath-taking central motif, which complements the inscription on the back of the Loving Cup, 'H.R.H Prince Henry of Wales to Meghan Markle ~ 19th May 2018' perfectly. 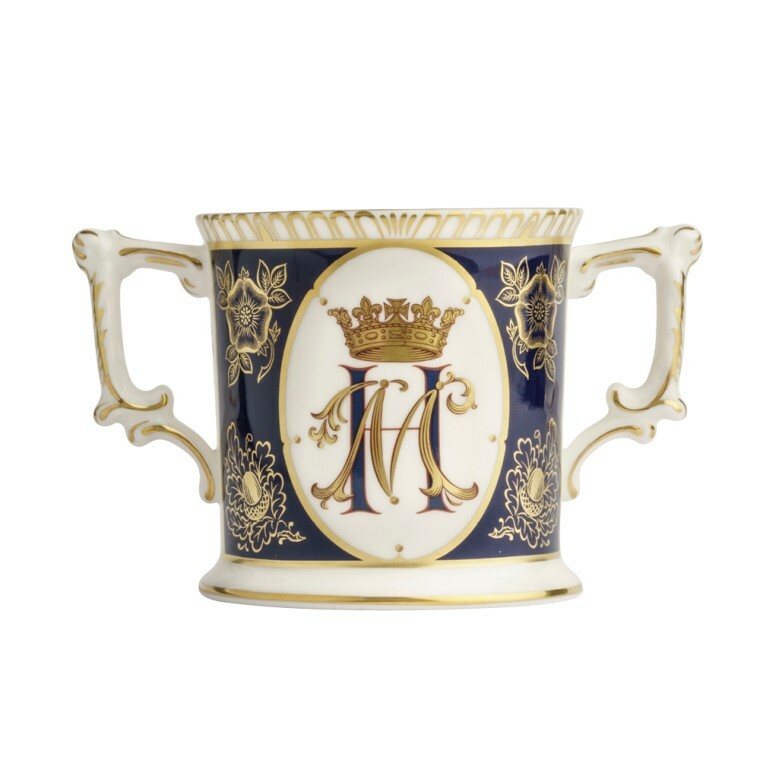 The Loving Cup had been traditionally used during weddings to celebrate the nuptials of the happy couple, making it the perfect celebratory piece for this wonderful Royal occasion.